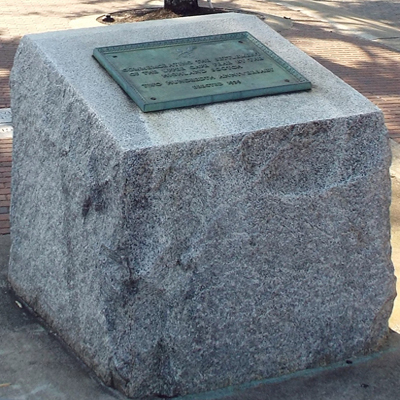 The Highland Scotch memorial is a large lectern shaped block of granite about three feet tall with a bronze plaque attached. The plaque has a decorative frame with a Scottish thistle appearing in relief above the inscription. This thistle is the oldest recorded national flower. Lighted flagpoles stand to either side and in front of the memorial. The memorial dedication was the culmination of several days of activities that saw the resurrection of traditional games and music of the Highland Scots. Thirty clans were present to watch the throwing of the caber, battle re-enactments, the Highland fling and a cornhusking competition. After a parade of 1500 troops from Ft. Bragg under the command of General William Bryden the memorial was dedicated. University of North Carolina President Frank Porter Graham was one of featured speakers. Members of the Carolina Playmakers Theater from the University of North Carolina under the direction of John W. Parker premiered Paul Green’s play “The Highland Call.” This two act play was commissioned for the bicentennial celebration of the Highland Scots settlement of the Cape Fear Valley. The story centers on the life of Flora McDonald, a friend and protector of Bonnie Prince Charles (Charles Edward Stuart). McDonald and her family came to the area in 1774 to find a place of peace that she had never known in Scotland. 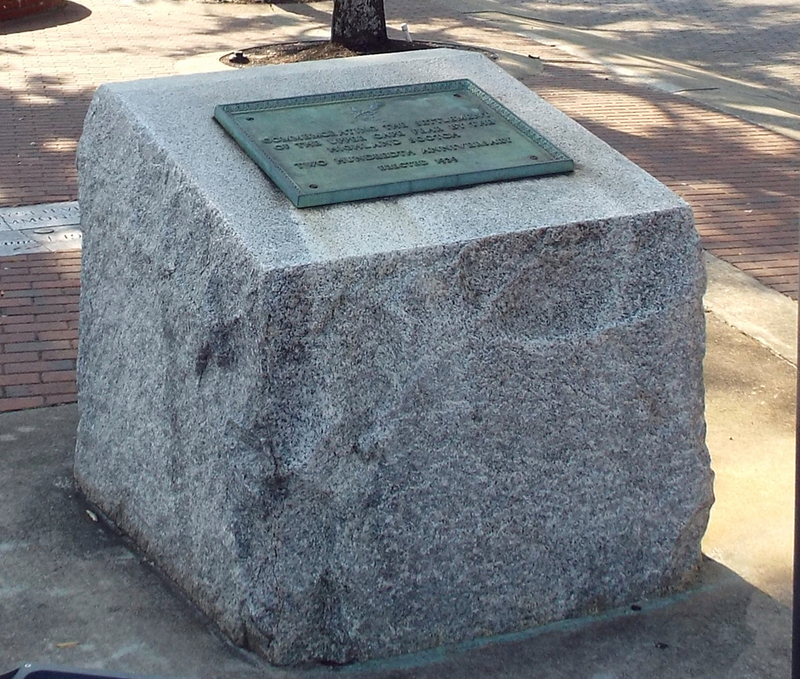 The marker is located near the point of the V shaped intersection of Hay Street and Ray Avenue in downtown Fayetteville. The memorial stands on a paved sidewalk, with a fountain and shady trees behind it.